France's divided Socialists picked leftwinger Benoit Hamon as their presidential nominee Sunday, in the latest twist of a roller-coaster election race that has seen conservative frontrunner Francois Fillon engulfed in scandal. 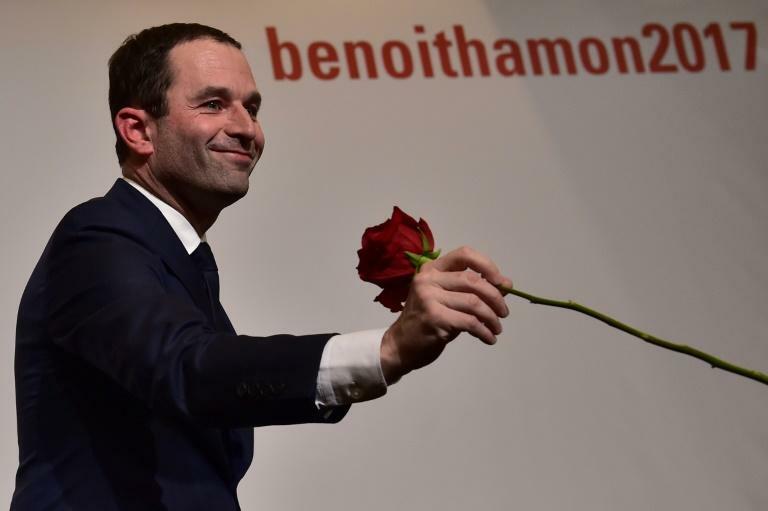 "Our country needs the left but a modern, innovative left turned towards the future," the 49-year-old Hamon told cheering supporters in a victory speech. 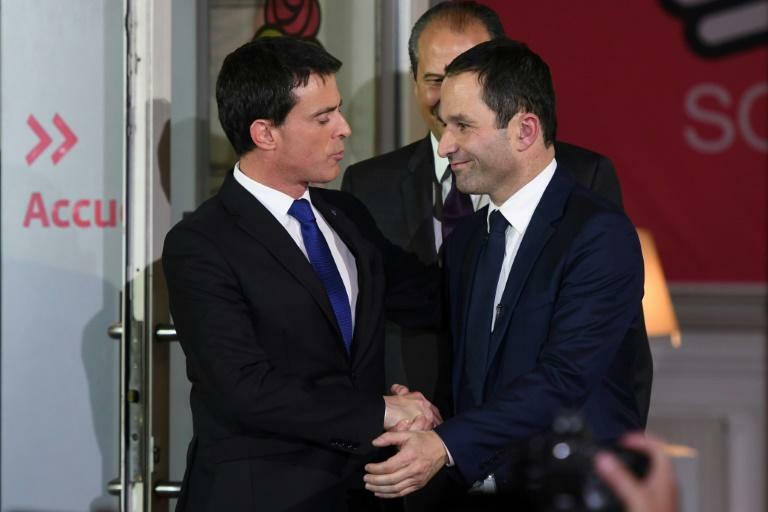 Hamon's rivals include rightwing Republicans nominee Fillon, far-right candidate Marine Le Pen, as well as centrist Emmanuel Macron who some analysts see as likely to benefit from the Socialists' tilt to the left. Fillon, who was also deemed a long-shot until he clinched the Republicans nomination in November, has consistently been tipped to become France's next leader. 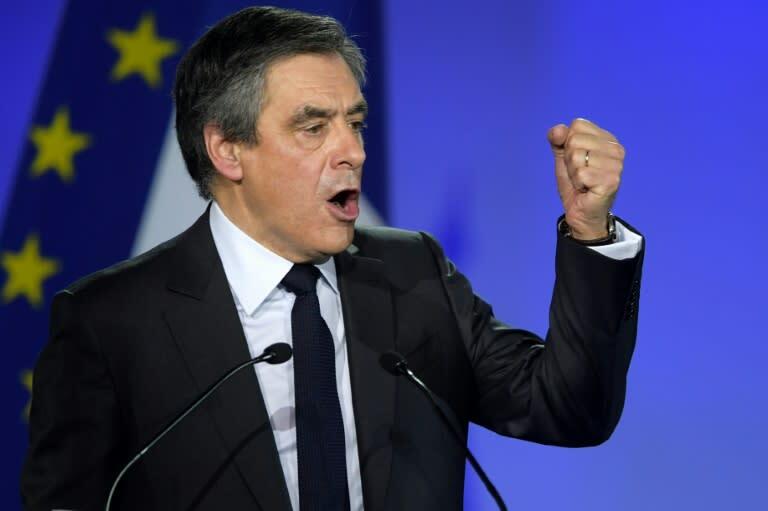 In a defiant speech on Sunday in front of thousands of flag-waving supporters in Paris, Fillon said he would not let himself be "intimidated". "On the road to victory, there will be some headwinds, there will be some squalls. We'll go straight ahead, straight to victory!," he declared. Earlier, in an interview with the Journal du Dimanche, he denounced a "plot" against him and French democracy. It remains unclear how the allegations will affect him or the outcome of the vote, which is being closely watched after the Brexit referendum in Britain and Donald Trump's triumph in the United States. After five years of rule by Socialist President Francois Hollande, France is pessimistic about its economic prospects and fearful about terrorism and immigration. Far-right leader Le Pen believes the nationalist sentiment that influenced British and American voters in 2016 will also carry her to the French presidency in what would be a profound shock for the continent. But her National Front party is also embroiled in its own expenses scandal over money from the European parliament. Valls, who conceded defeat and wished Hamon well on Sunday, took a parting shot at the far-right leader, saying that Socialists "reject Marine Le Pen's face being the face of France in the future." Hamon's victory and Fillon's woes could boost Macron, the youngest candidate in the race at 39 who quit Hollande's government last year to start his own political movement, En Marche (On the Move). The former economy minister and investment banker has been drawing crowds of thousands to rallies around the country and polls show him creeping up on Fillon and Le Pen. Hamon has pitched himself as a man of fresh ideas for the left, promising to bring in universal basic income -- a state handout to all adults, irrespective of income -- to compensate for jobs lost to automation. He also wants to levy taxes on robots, legalise cannabis, introduce stricter rules on chemical products, and introduce a new corps of state inspectors to combat discrimination. Valls, prime minister under Hollande until December, had lampooned Hamon's programme as unworkable and labelled him a dreamer. The bill for his universal income programme, envisaged for sometime after 2020, was estimated at a staggering 480 billion euros annually by an economic research unit at Sciences Po university in Paris.